As a pioneer in the Cloud Services industry, SEEBURGER AG offers more than 30 different cloud services for various industries and use cases. Customer confidence is paramount in this industry, and independent third-party certification provides validation of quality standards. The annual ISO 27001 certification and the new ISAE 3402 audit demand even stricter requirements based on international quality standards. As a result of these two milestone certifications, SEEBURGER can guarantee customers the highest quality, process safety, control and stability as measured by global standards. 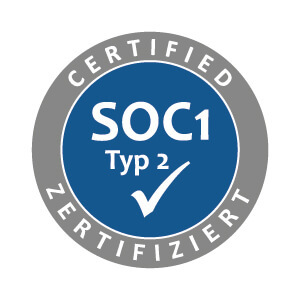 In addition to the annual ISO 27001 certification, SEEBURGER has now undergone the ISAE 3402 (SOC1) Type 2 audit process. To conduct this rigorous examination process, SEEBURGER retained the internationally recognized accounting firm KPMG. Background: the ISAE 3402 audit process is an internationally established standard on assurance engagement. Independent audit firms examine the effectiveness of implemented internal control systems and provide a measure of the effectiveness of the controls and a formal report on their findings; commonly referred to as an attestation. SOC (Service Organization Controls) reports address not only risks related to financial reporting, but also cover a wide range of customer requirements, such as IT security, availability, integrity and data protection. “We have successfully passed our certifications and audits every year. The ISAE 3402 audit, which was conducted and verified by KPMG as “exceptionally successful”, shows that SEEBURGER maintains the highest quality standards to ensure the security, availability and integrity of sensitive customer data”, said Uwe Heber, Vice President of Operations for Cloud & Managed Services at SEEBURGER, to describe the added value of the new ISAE 3402 attestation. The ISAE 3402 (SOC1) Type 2 report covers risk management, user & access management, physical security, monitoring management, incident management, change management, back-up & recovery and business continuity management. With this report, SEEBURGER provides its customers independent and verified information for their financial and other internal audits. 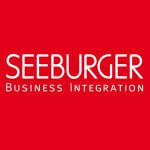 “The successful ISAE 3402 audit is further proof of the high quality of the SEEBURGER Cloud Services. Our customers can efficiently adhere to a variety of compliance requirements. Maximum transparency, highest security, reduced risks and the proof of the maturity of our services create confidence in the professionalism of SEEBURGER and save our customers’ time and resources”, says Axel Haas, co-CEO of SEEBURGER AG.